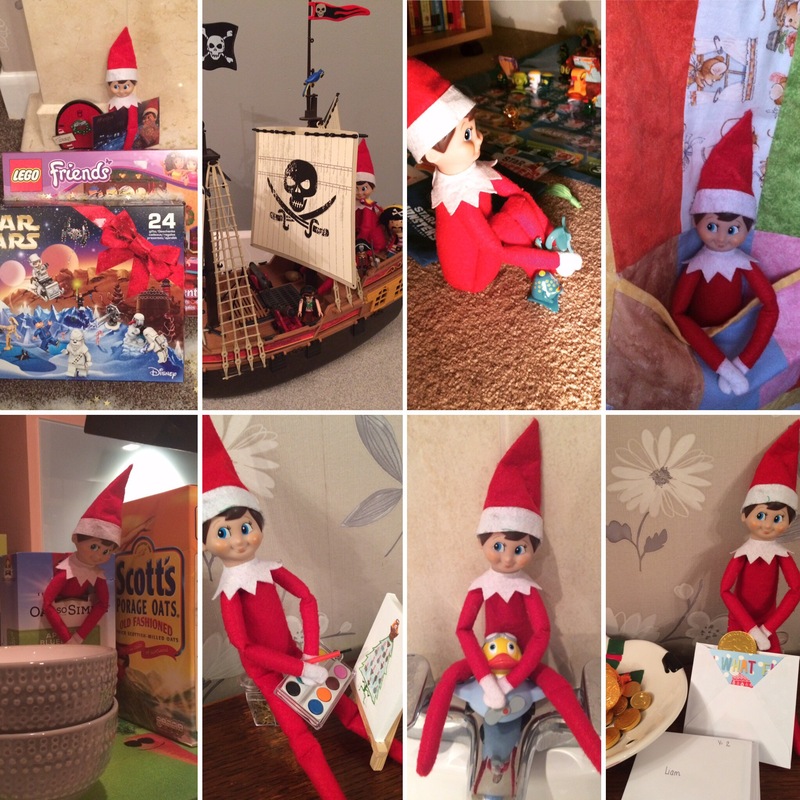 Our Elf on the Shelf has returned home for his 4th Christmas with us. I love this little elf so much and the magic and delight he brings to our family. I hide him every evening and he always writes the children a letter everyday telling them all the brilliant things they did and looking forward to the coming day. I love the creativity in trying to find new ideas, by the end of this year I’ll have tried to hide him in over 100 different scenarios. Piniterest and the app are fantastic sources of ideas. If I see mini accessories throughout the year I’ll buy them to help a tableau! We’re going on holiday soon and Tommy has a suitcase and tshirts ready, I may make him a passport too! Here are the scenarios from our first week with Tommy 2016. I was really pleased with the return when he brought Lego advent calendars, with a little photographic magic and magic dust he shrank the calendars to enable him to hold them on his journey and they were still sprinkled with snow and magic dust in the house! Here are the other photos too.